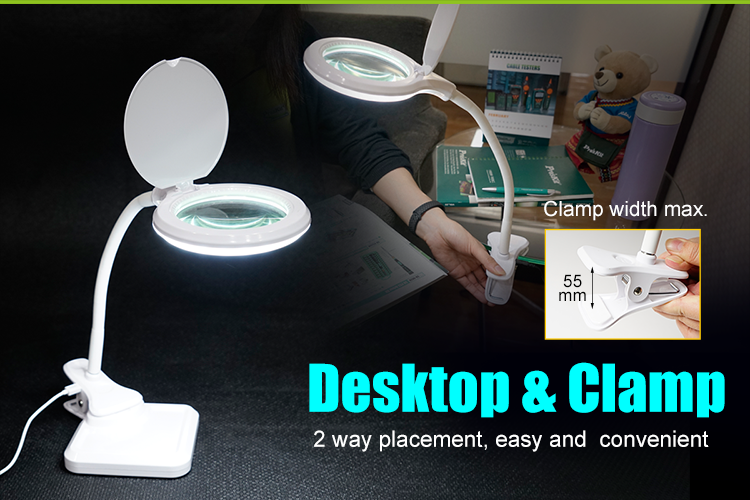 Interchangeable base and clamp for greater versatility. 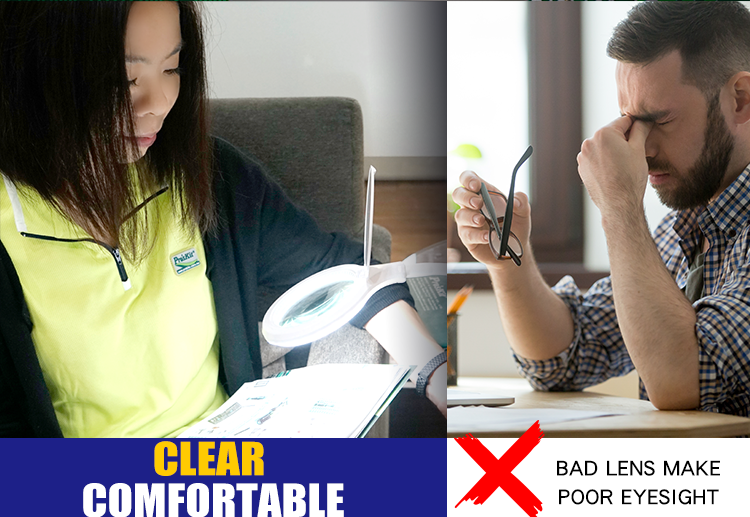 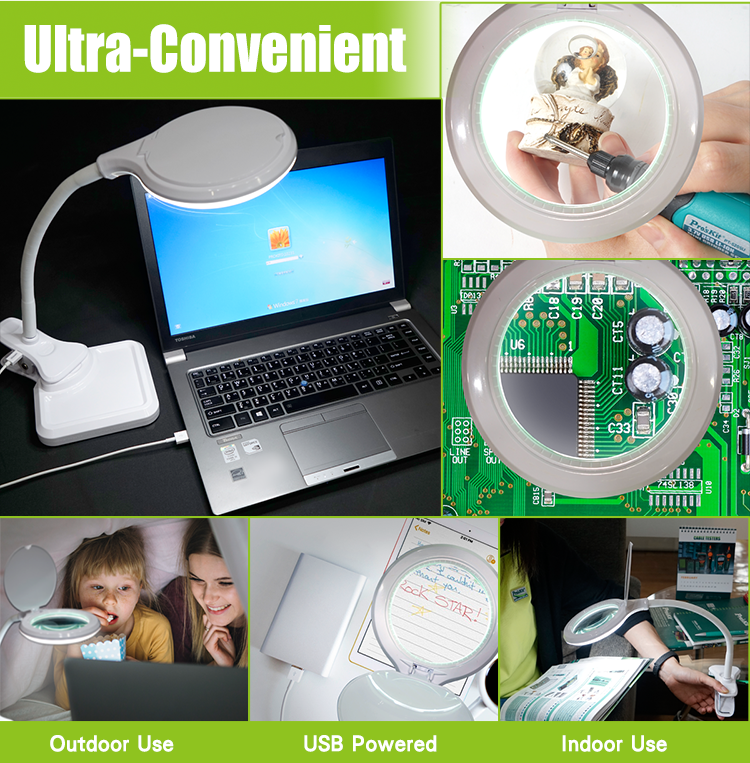 With 3D magnification lens, it can be a magnifier as well. 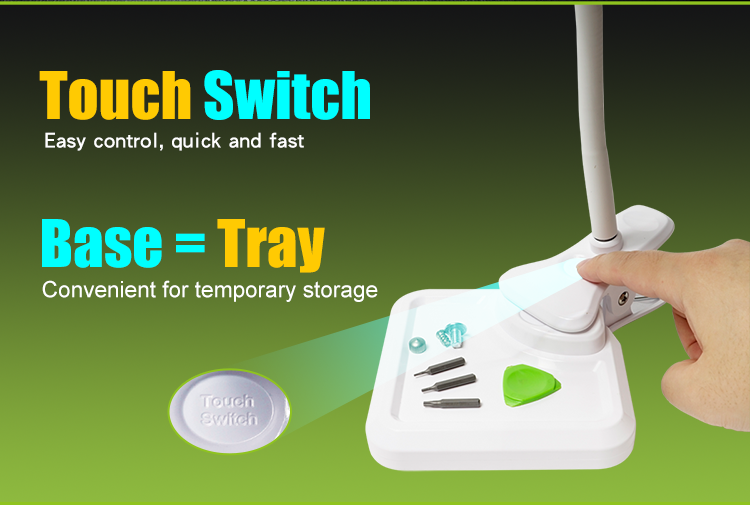 Touch switch provides easy control. 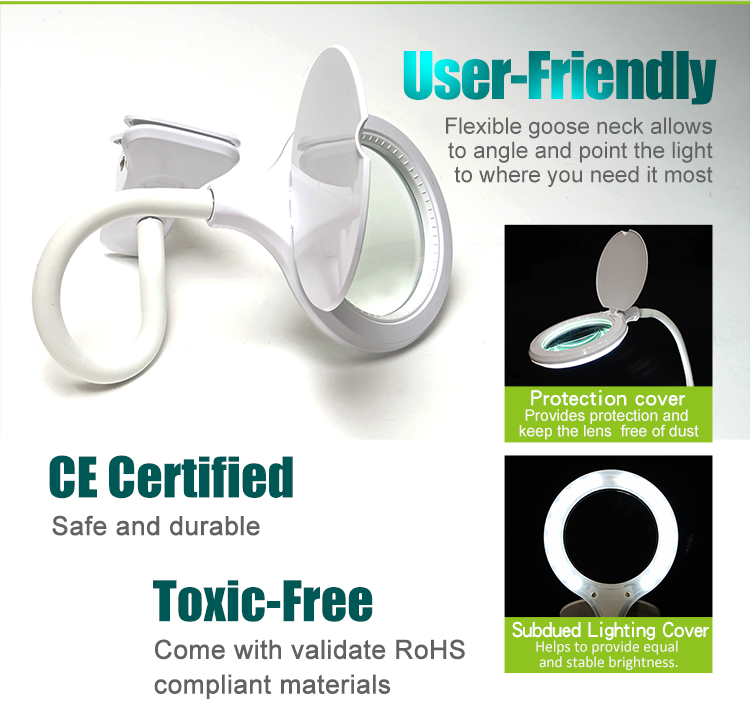 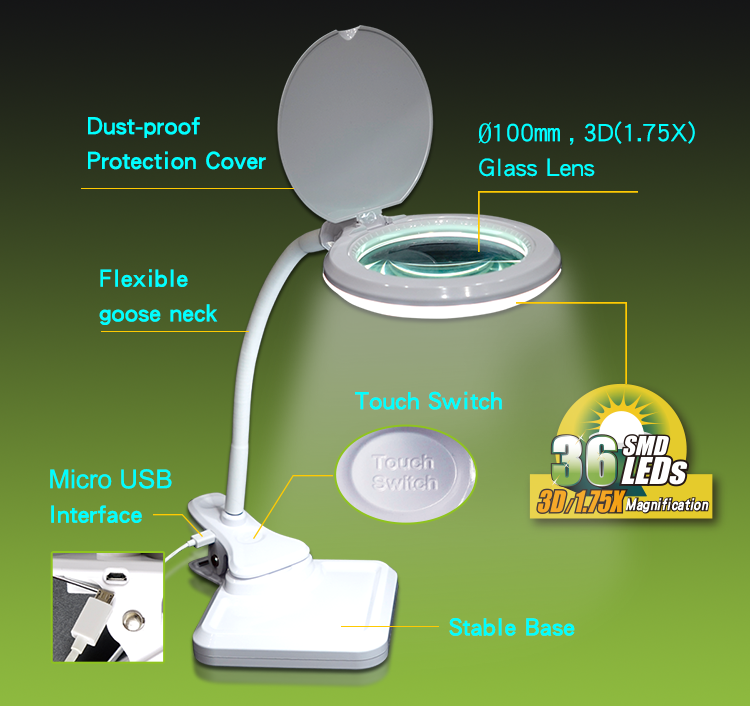 Flexible goose neck helps to position the light and magnifier perfectly. 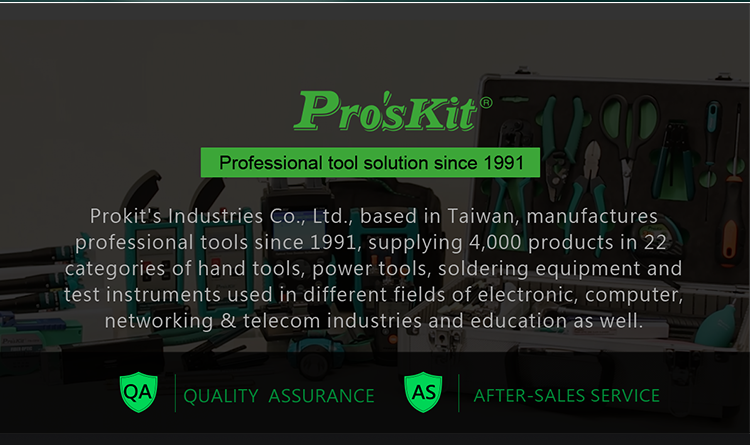 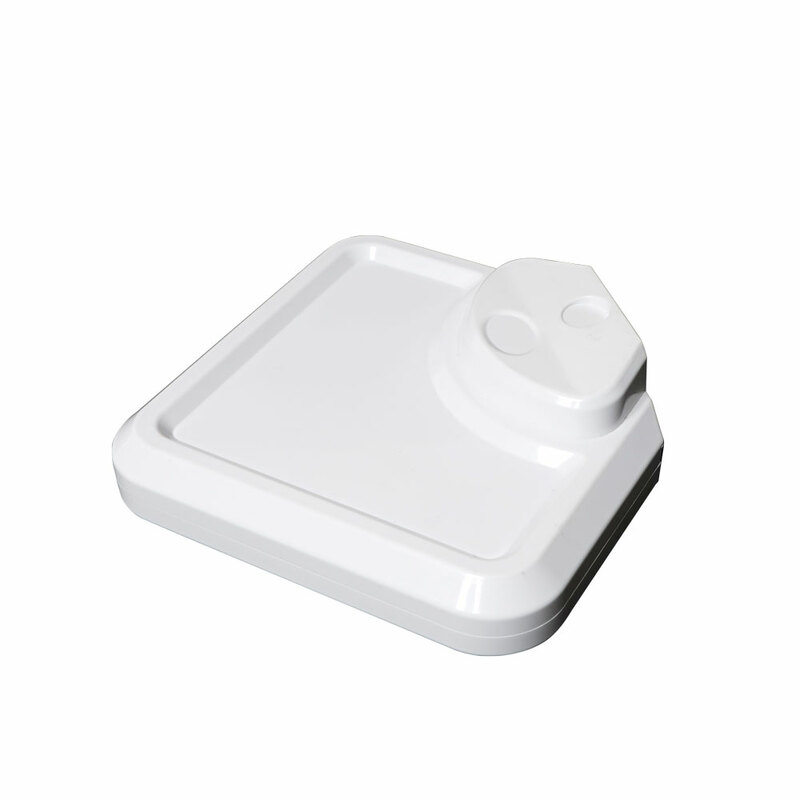 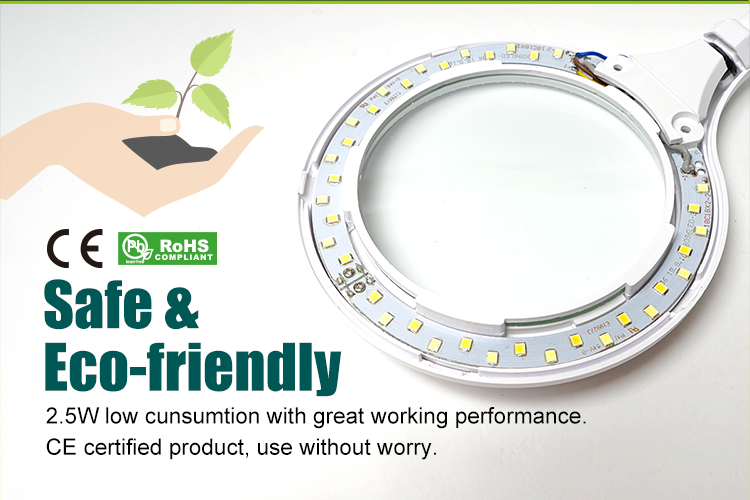 Warm and cold light switchable with stepless brightness control offer user convenience. 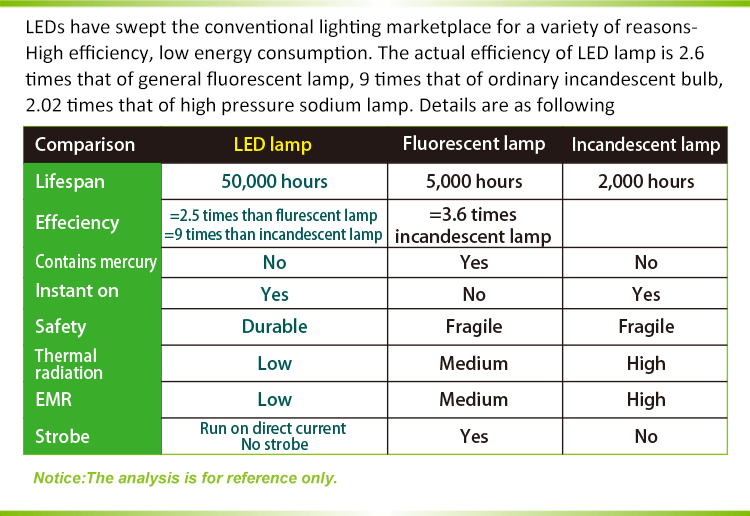 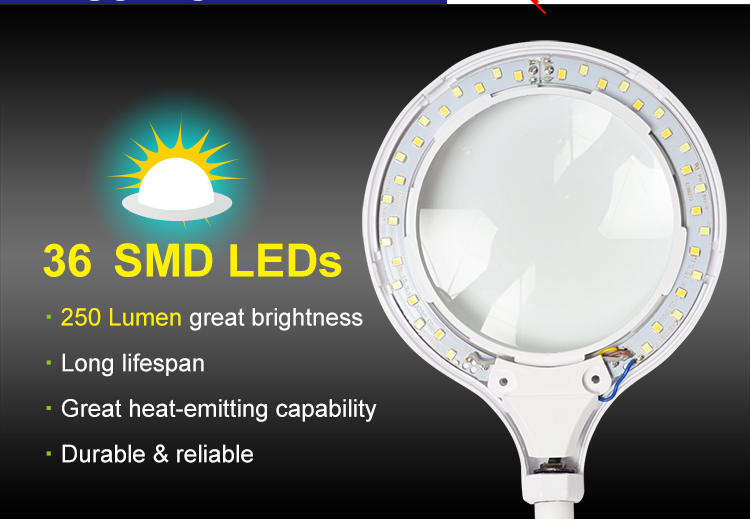 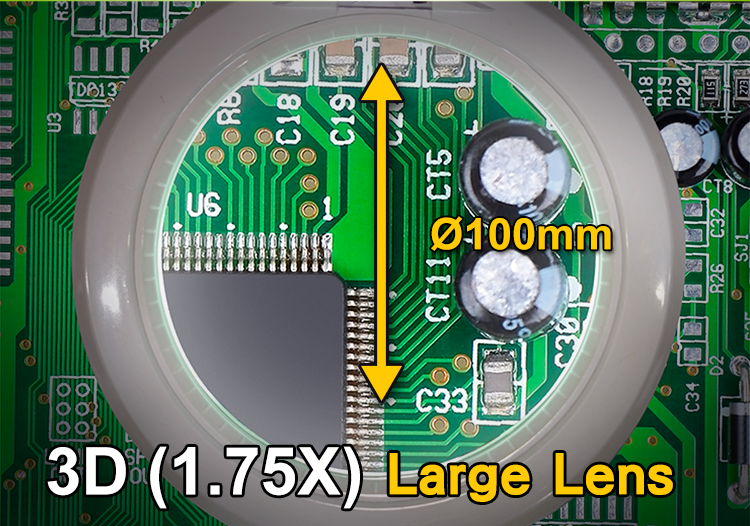 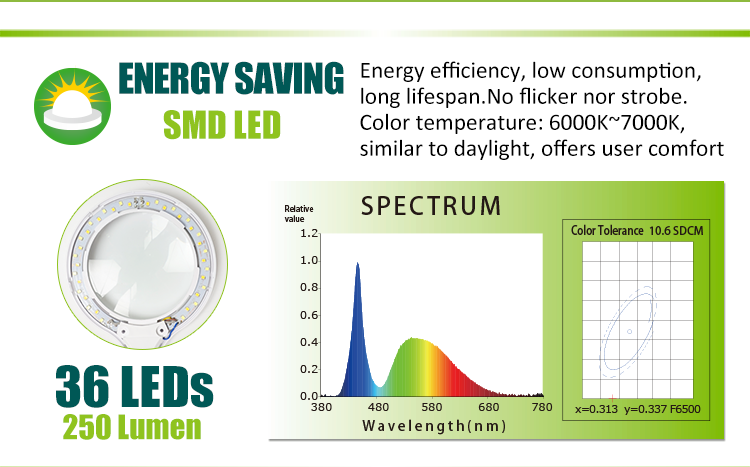 Low power consumption, replace 25W halogen bulb by 2.5W LED. 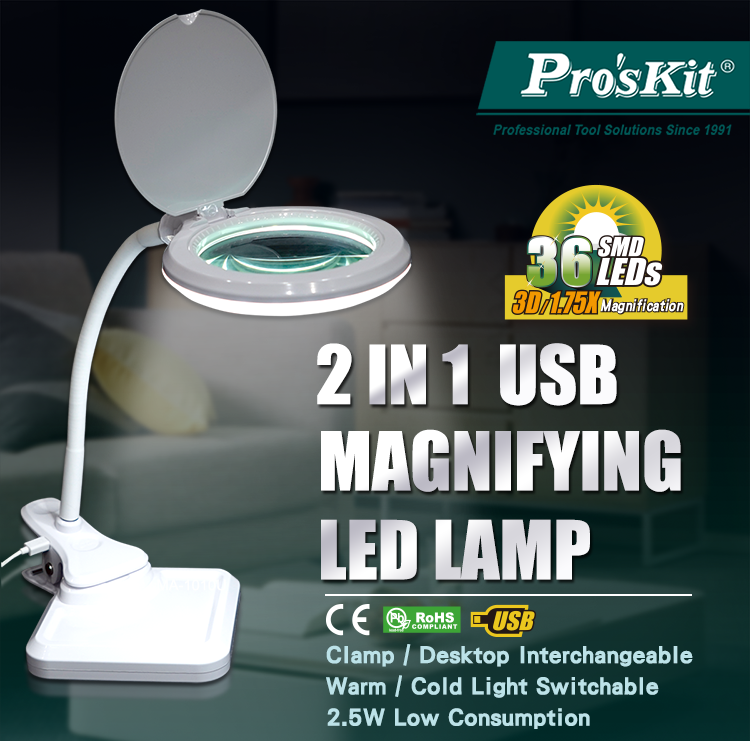 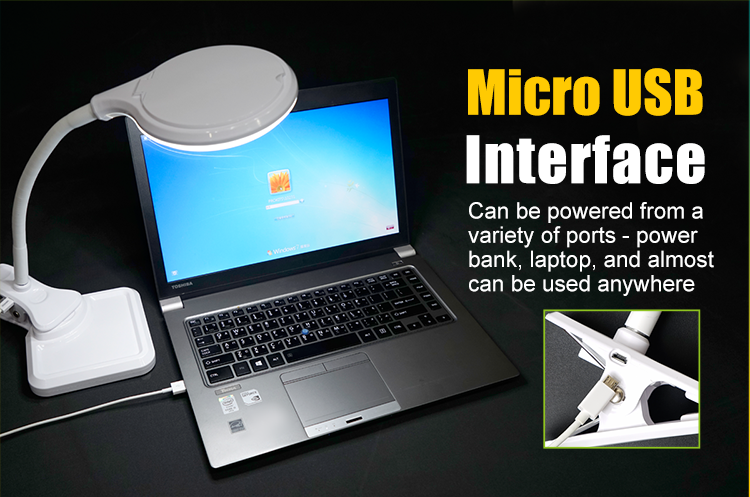 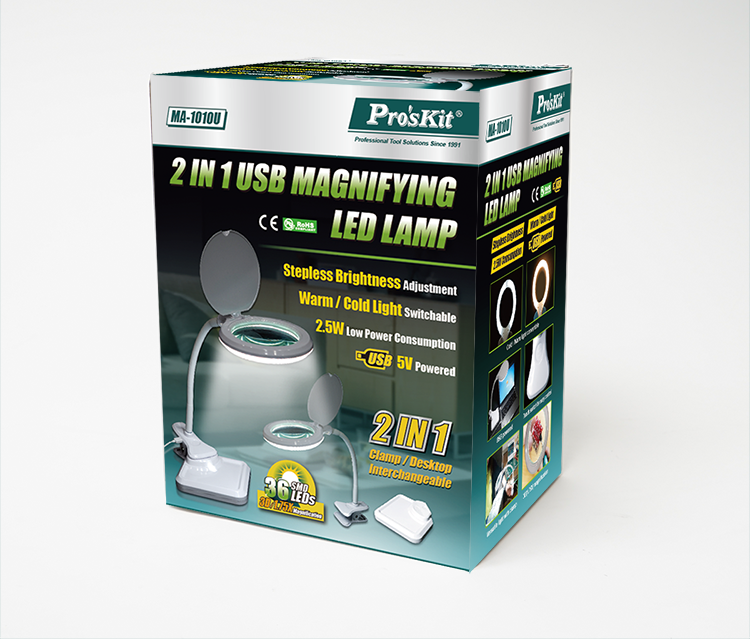 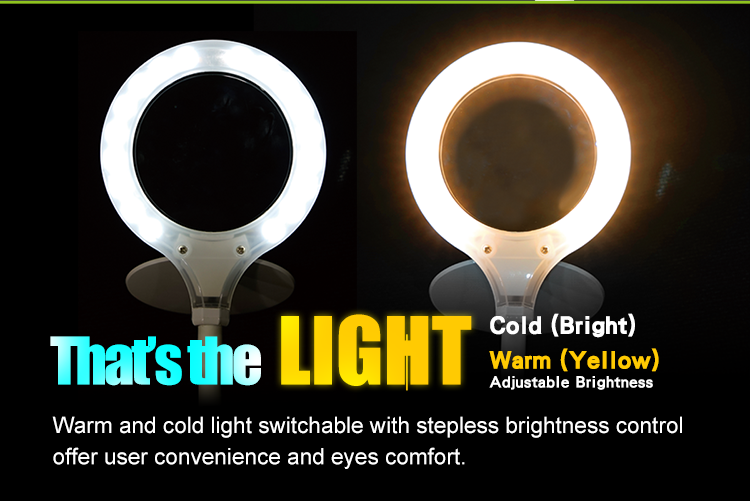 Instant full light, no need to wait for warming up the lamp.